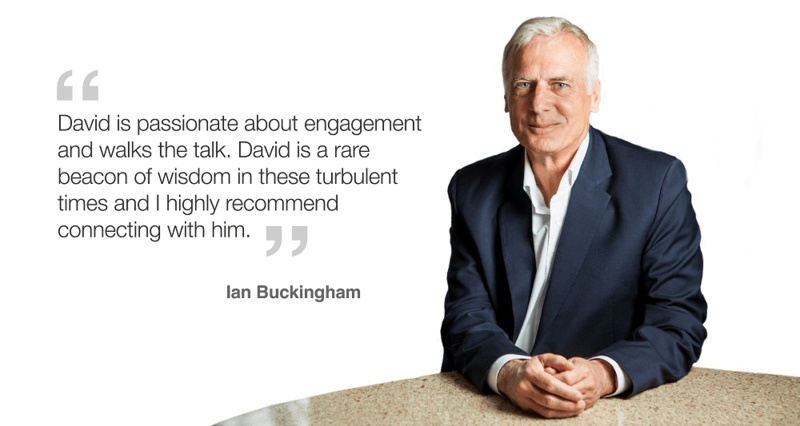 I am currently creating a 12 module action-based course on engagement. It will help you with over 40 practical and tactical actions you can enact to increase and improve employee engagement for yourself or others at work. 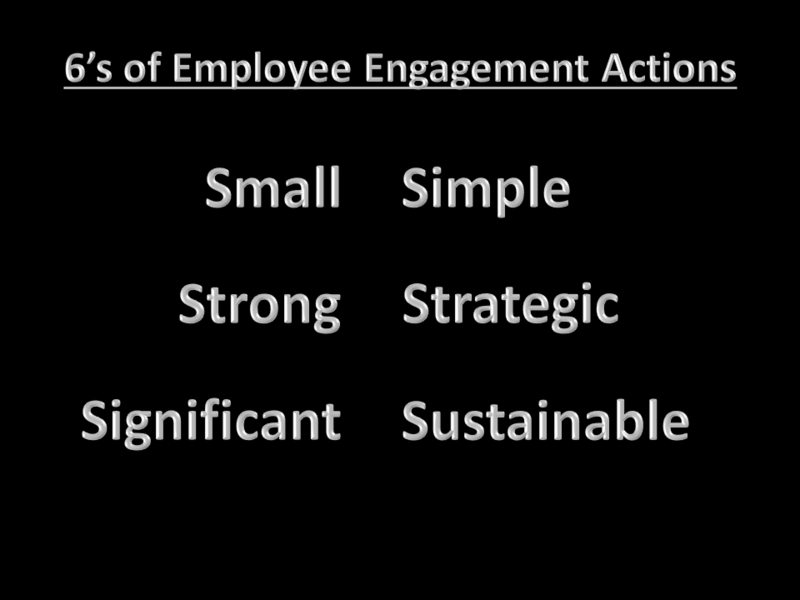 Below is a page on the 6’s of employee engagement actions from Module 1. The 6 S’s acronym offers simple guidelines to determine, enact, and assess ideal actions to improve engagement as you apply the content and tools of the course. Small – Small is the new significant. Steer clear of huge programs that are additive and overtax an already overloaded workforce. Simple – Keep actions simple. We often race to find complex answers to big problems when simple things done daily may be the lever small enough to fully engage the organization. Strong – Although the action can be small and simple strive to ensure it is powerful and robust. Significant – The action should be significant, meaningful, and matter. Strategic – The action should align and contribute to the overall strategy of the organization. Sustainable – The action should be sustainable over time — accomplished by making the action small, simple, strong, significant, and strategic.